More than 400 people attended the conferences in 2018 – One conference pass gives you access to all three events and over 150 speakers! 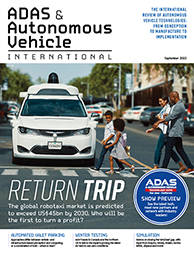 Autonomous Vehicle Technology Expo hosts three highly focused conferences that are dedicated to autonomous-vehicle testing and validation; AV software development and dealing with moral and technical AI challenges; and the technological hurdles and opportunities created by the advent of more autonomy or even ‘driverless cars’. With the conferences taking place side by side, one delegate pass gains you access to all three of them as well as the exhibition. There will be an opening-day breakfast, plus lunch every single day, at which all delegates – regardless of which conference they are attending – can network and make new contacts. There will also be a Drinks Party for all delegates, exhibitors and visitors. Look below to see which conference is relevant to you, and remember that one delegate pass gains you access to all three events! This conference features the latest and next-generation thinking and technologies for Levels 2 and 3 and even completely driverless vehicles. 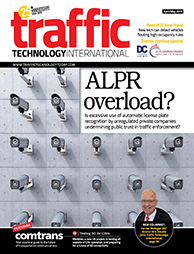 It boasts over 150 of the world’s leading experts in ADAS vehicle testing covering everything from sensor development and open-road testing, to simulation and robust testing methods for AVs. The conference deals with the HMI issues associated with the increasing autonomy of vehicles, and also looks at the possible technological and passenger-protection implications of fully driverless vehicles as well as the passenger comfort and infotainment opportunities such vehicles provide. Expect to see expert speakers presenting technical solutions and discussing human factors in the path of autonomous vehicles. The conference also features panel discussions in which delegates can participate. The Autonomous Vehicle Software Symposium is dedicated to addressing the challenges and opportunities of developing AI and software platforms for autonomous and self-driving vehicles. The three-day event is an absolute must-attend conference for all involved in autonomous vehicle software development. It also features panel discussions in which delegates can participate.